Heat oven to 350°F. Bake French loaf as directed on can; cool before slicing. Meanwhile, spray 9-inch pie plate with cooking spray. 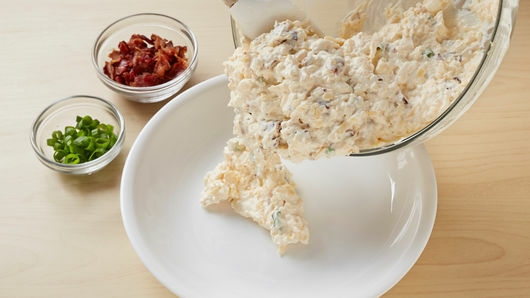 In medium bowl, mix Gouda cheese, cream cheese, mayonnaise, sour cream and crushed red pepper; mix on low speed with electric mixer until well mixed. 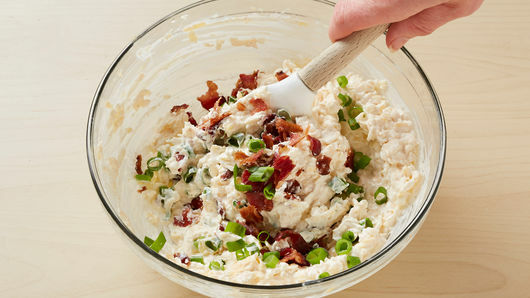 Reserve 2 tablespoons bacon for topping; set aside. Stir in remaining bacon and 3 tablespoons of the green onion. Transfer mixture to pie plate. Bake 20 to 25 minutes or until dip is heated through. 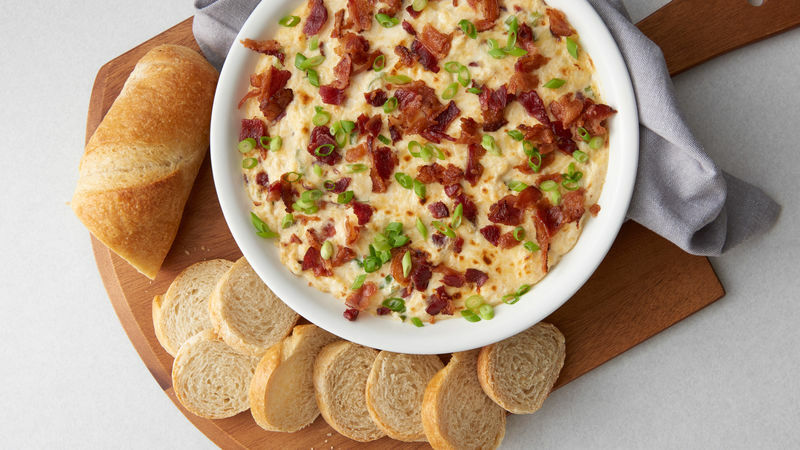 Top with remaining bacon and green onions. 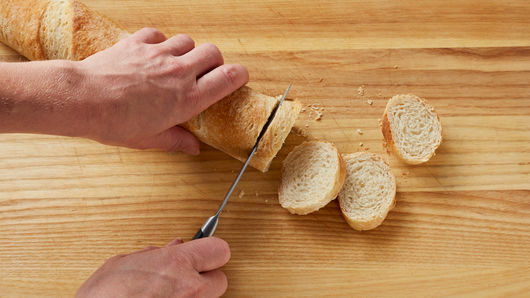 Serve hot dip with sliced French bread. Store remaining dip covered in refrigerator. If you prefer more spicy heat, increase crushed red pepper to 1/4 teaspoon.